Listen to the broadcast version of this story. Indiana schools will now have access to a little more money to upgrade their safety infrastructure. The new money is possible through legislation approved during Monday’s one-day special session of the General Assembly. The school safety bill adds $5 million to a fund for schools to access for safety upgrades. House Democratic Leader Terry Goodin (D-Austin) supports that – but also says it falls far short of what’s needed, when broken down by how much each school could get. 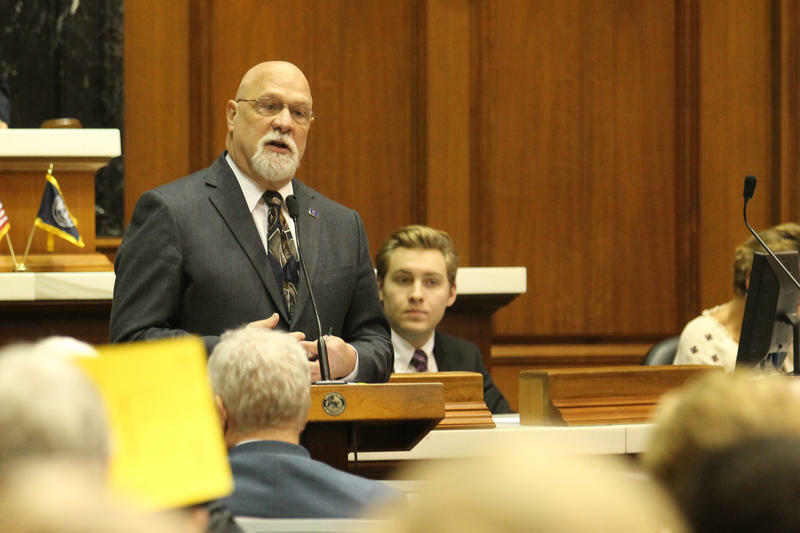 But Rep. Tim Brown (R-Crawfordsville) says that $5 million is added to $45 million the legislature already appropriated for school safety upgrades. “It is at local need, so therefore they determine what they need by the building-by-building issue,” Brown says. The bill also has provisions to enhance cyberbullying laws in school and require audits of every school’s safety plan.